Join neighbors from around the Four Mile Run neighborhoods Thursday night at 7pm at the No. 9 Lounge at Evening Star, 2000 Mt Vernon Avenue. This inaugural get-together, what we hope will be a semi-regular occurrence in the future, will also mark a bittersweet occasion. It will be a chance to see off neighborhood hero and all around good guy, Nick Partee, as he embarks on a hiatus from Arlandria for the next few years. Nick has been the driving force behind so much of what we've done in the last few years that we hope to give him a good send off. We hope to see you there. 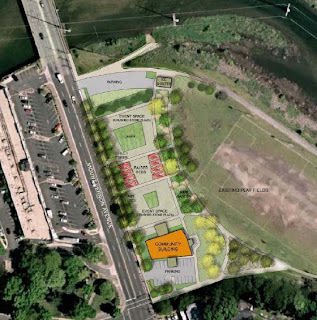 Earlier today, Nick Partee posted about the park planning meeting this evening at 7pm. The discussions about this parcel have been going on for quite a while, with presentations about it at the Four Mile Run Farmer's Market every week. But several months ago, Nick has done a great write up available here. But how did this happen? Where are the funds coming from in today's tough budget cycles? The answer is that there really is no money for this. The City used open space funds to acquire the property a few years back and tear down some of the old buildings, When the budget crunches came on, they were about to give up and tear down the last remaining building when the group of architects stepped in and donated their time to come up with a plan to do something temporary with donated time and materials and with the funds that had been slated for the demolition. A group of volunteers have done some clean-ups and renovations on the site already and anticipate providing a lot of the labor for any future work, just as we have at another new park property at Reed Avenue (see this earlier article about that).... which at this point the City isn't even mowing or tending to the dead trees (Nick personally took down a dozen with a HAND saw). In this latter case, all of the plant materials were gleaned from back yard cast-offs in Beverly Hills, Del Ray and Arlandria; in other words, pulled from the trash. The mulch on site comes from ground up dead trees. The only money spent was on rental equipment (unless you count the repairs that Jim Russell had to make on his transmission that he wreaked pulling up fence posts). The budget for the Four Mile Run Park expansion (the subject of tonight's meeting) is maybe about $200 at this point. That's what a group of middle school kids raised this summer for the project at a car wash. But we're swimming in mulch and litter. 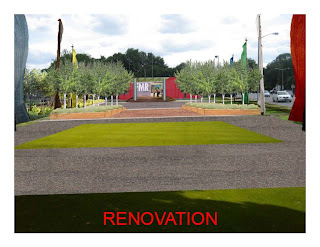 We really need help caring for the gardens, tree lawns and street trees that the City has never tended to, even in the boom years (here's what we tried to do with that). And there's no end to the litter and trash that people keep dumping in our parks. We've had a half dozen clean-ups this year alone and we could still keep doing it. And most of all we need advocates. After the middle school kids came out for a clean up this summer, I put the question to them: "how do we fix this so we don't have to keep coming out and cleaning up after other people?" Their answers were telling. What are yours? 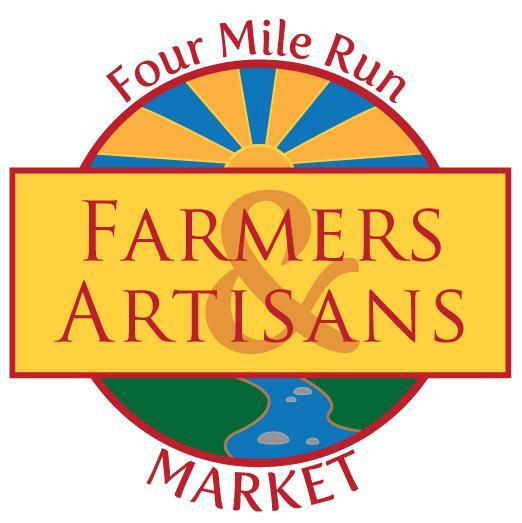 The Four Mile Run Farmers & Artisans Market always has plenty to offer folks, whether they walk, drive or come on a bicycle, but this week we spotlight the many folks who come to market using our great system of nearby trails and bike lanes. VéloCity returns to the 4MRMarket this Sunday with their mobile bike repair shop. But in addition, this week, they will be joined by the Alexandria Police Department. Officers will be at the market from 8:00 A.M. to 1:00 P.M. They will be offering information on registering a bicycle and providing bicycle safety tips along with the bike maintenance and tune ups that have become a regular feature at the market. Registering a bicycle makes it much easier to track in the event the bicycle is lost or stolen and is among one of the several best biking practices we like to promote at 4MRMarket. Additionally, officers would like to educate cyclists and pedestrians about traffic laws. This 4MRide event concludes Virginia Bicyclist and Pedestrian Awareness Week, a DRIVE SMART Virginia and Bike Walk Virginia initiative with approximately 160 companies and organization partners statewide. A key goal of Bicyclist and Pedestrian Awareness Week is to educate citizens in understanding the importance of sharing the road responsibly and with respect. 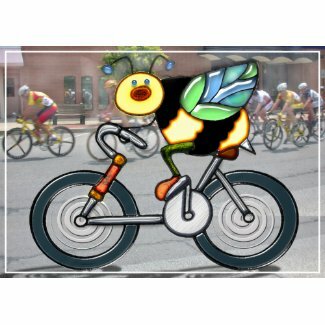 So get on your bike and come on out. The signs have been up for a while now and not much has changed since we first talked about the concept plans over a year ago. 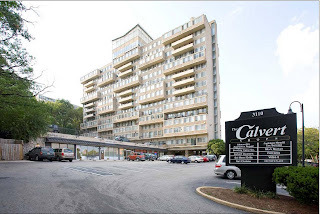 Over the course of many months and several area meetings (reported here and here), UDR, the owner of the Calvert on Mt Vernon Avenue has fleshed out its plans for a major renovation of the aging building. 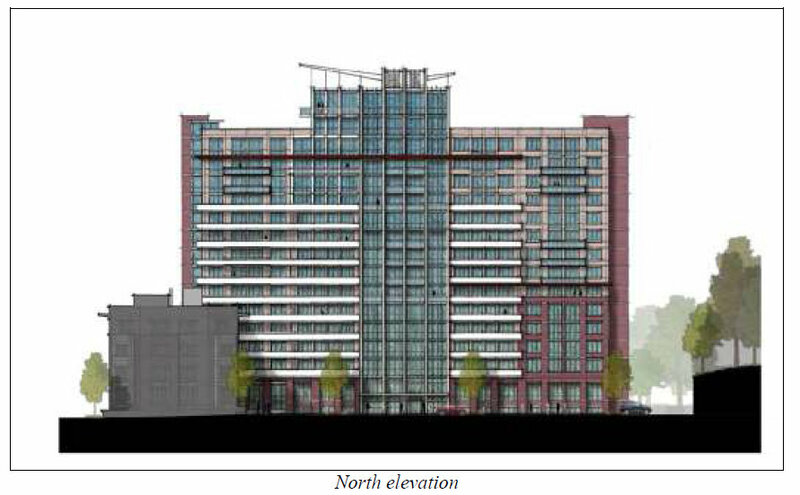 As Item #7 on the docket tonight for review by the Planning Commission at their September 7th meeting, the City staff report shows that UDR plans to reface the existing tower and replace the front parking lot and retaining wall with a mid-rise (4 story), street-fronting apartment building. The project is designed to maintain (and even expand) the rental housing opportunities in the area while bringing added vibrancy to the Avenue business districts. The new construction will incorporate the existing ground-floor retail but move it adjacent to Mt Vernon Avenue. 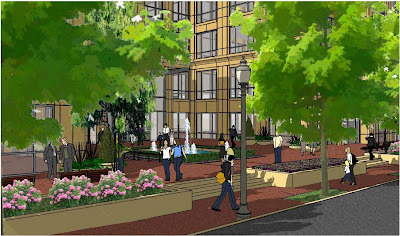 Some of the retail space will surround a central art or water feature in an open air plaza at the intersection of the T-shaped building as shown in the first graphic in this post. 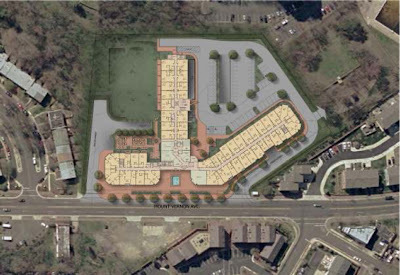 Most of the parking would be placed underground with some above-ground parking on the north side of the property, just as it is now. The current south parking lot would be replaced with green space adjoining Warwick Village and Goat Hill Park. Build-out will take many months but it looks extremely promising. The renovation will revitalize an aging building, strengthen existing retail, and suggests that the Calvert will evolve along Complete Street principles. Planning Commission meets at 7:30 pm tonight, but comments can also be sent via the City's website. As the Four Mile Run Farmers & Artisans Market enters into its 3rd month of operation, the one thing we've learned to expect is that each market day will be full of surprises. Starting tomorrow, Sunday September 5th, the new surprise addition to 4MRMarket will be VéloCity. A bicycling cooperative established earlier this year in Old Town, VéloCity's mission is "to encourage a vibrant and inclusive cycling community by providing a non-profit, volunteer operated, do-it-yourself workshop for building and maintaining bicycles along with training, rides, and events to empower interaction, skills, fun, and freedom." VéloCity will be on hand with bike stands and tools to empower riders with DIY bike repairs on a bi-weekly basis, showing off 4MR Park as the hive of bicycling activity it is. Two weeks ago we were surprised to learn that the Four Mile Run is home to very productive honey bees. Nearby backyard aviaries produce honey at almost 10 times the state average. 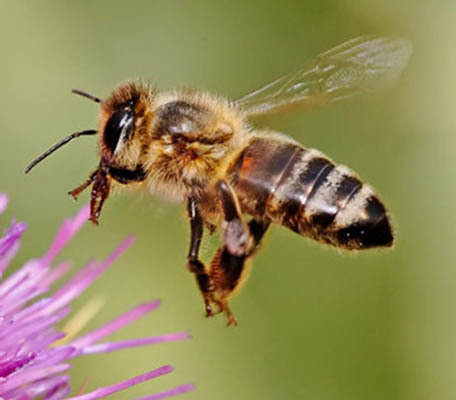 Last week some of that honey found its way into the deliciously artisanal chocolates produced by Krishon Chocolates and sold at 4MRMarket just 1000 feet from the hives it came from. What won't surprise us is if some of the blue-ribbon-award-winning 4MR honey shows up in other market products soon. Zelda's NOVA Soul continues to churn out new and interesting salad creations that sell out too quickly for some (well, me). And MT's Pastries continues to invent new recipes, now with a complete line of gluten and sugar free confections to compliment the world's best brownie and bread pudding muffin. (All best enjoyed with St Elmo's coffee in the Market Lounge). "I loved the market. The tomatoes I bought were the best tomatoes I have had for about 10 years. They were absolutely delicious. Everything else was good as well." Elsewhere, the reviews are coming in on services like Yelp. Starting a new enterprise is daunting (especially one funded out of pocket with no hope of anything above 0% return), but the support has been overwhelming...and much appreciated. There are still hopes to grow...and room to make it happen. Stayed tuned. 4MRMarket has wings. More surprises to come!